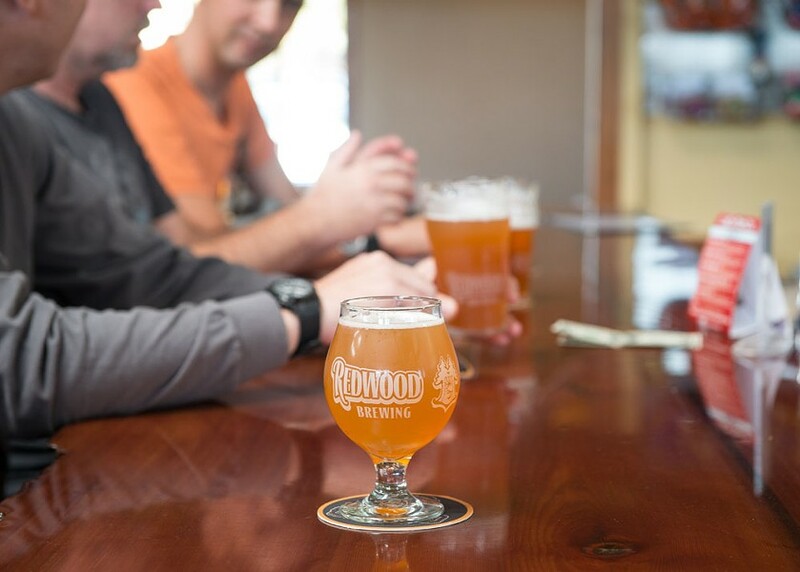 Redwood Curtain Brewing Co. is the best-known secret in town. 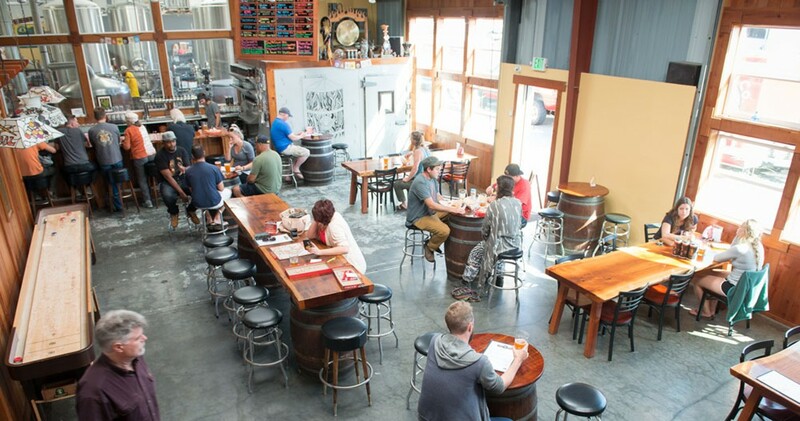 Tucked in an unassuming business park on the outskirts of Arcata, it's become a popular destination for Humboldt County beer enthusiasts and tourists alike. But, says beer pourer Chris Galleron on a bustling Sunday afternoon, locals still frequently visit the tasting room for the first time, declaring, "This is my new watering hole!" It's easy to see why. 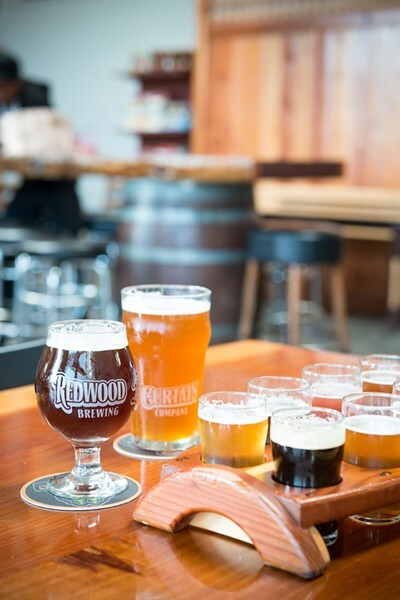 Redwood Curtain offers a constantly rotating selection of beers all brewed on the premises. There are more than 20 to choose from at any moment, from its flagship Imperial Golden Ale (IGA), Belgian styles and IPAs, to a series of barrel-aged fruit-based sours dubbed the "Funky Notion" series. Personal favorites include the Dry Irish Stout (get it on nitro, if you can) and the Dusseldorf Altbier, a toasty, German-style brew that earned Redwood Curtain a silver medal at the Great American Beer Festival. If it's your first time, go for the flight, where you can try a wide range of styles. Or, if you're a hophead (like certain people in my family), you can get a flight of the IPA styles brewed with different combinations of hops. It's easy to forget Redwood Curtain is only 7 years old. The brewery's original tasting room was a cramped space under staircases and fermenting tanks. Two years ago it expanded into the warehouse next door, creating a welcoming, airy, industrial chic beer-themed playroom. It's the polar opposite of a dive bar, with high ceilings, big windows, long wood-slab tables and polished concrete floors. You can see the brewery at work 24/7 through big glass windows behind the bar. If the staff isn't actively brewing, there's something fermenting in there. Redwood Curtain fans come in all types: students, locals, tourists and more. Kids are welcome, and there are almost as many game boards as stained coasters on the tables on any given day. 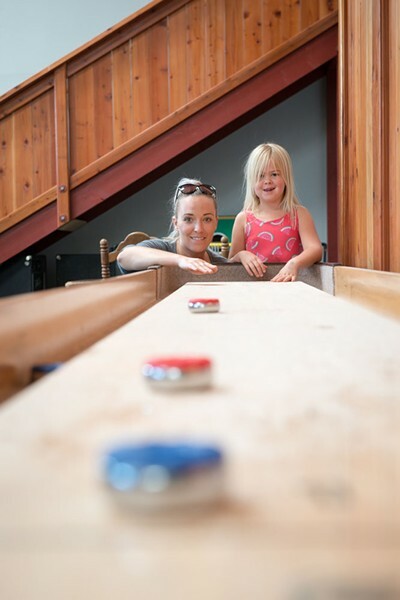 Try your hand at shuffleboard or corn hole if the mood strikes. The LoCo Fish Co. — a local food truck favorite — rolls up every afternoon, serving savory seafood meals that complement the beer. Music and other events — like fundraiser nights where beer sales support local nonprofits — often entertain into the evening. Galleron says an atmosphere of respect makes the brewery a Humboldt favorite. It's a mellow, friendly place where it seems like half the patrons know each other. That feeling begins with the unpretentious bartenders, a knowledgeable and outgoing crew. Redwood Curtain is expanding slowly to ferment even more beer. Its brews show up in more than 40 taphouses and restaurants in the Bay Area, as well as around here. But there are still no plans to bottle — if you want to take beer away, bring your growler (or buy one there). 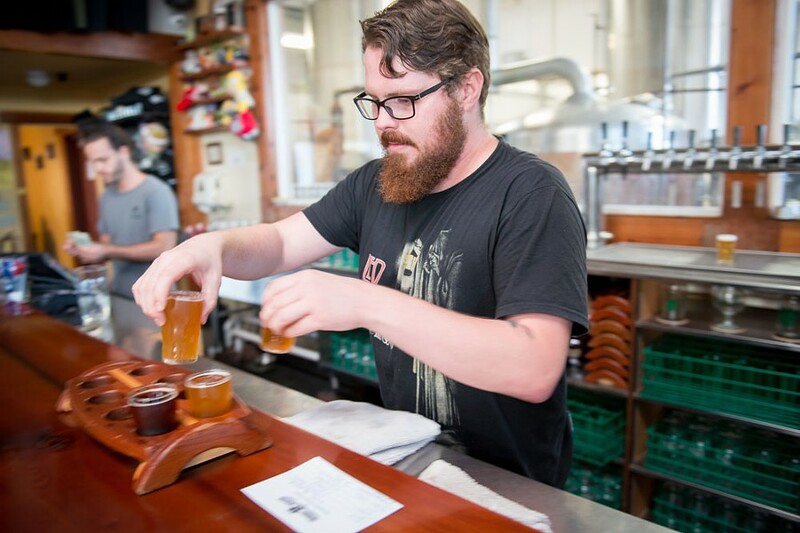 Keeping the beer in-house lends it some intimacy, the community experience of its tasting room, which might be the perfect pairing to great beer. 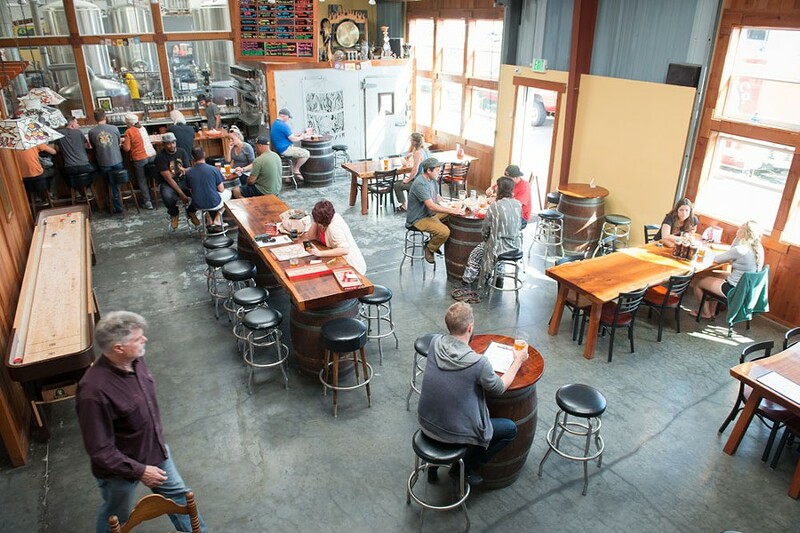 Redwood Curtain's tasting room opens every day at noon. Located across from the Arcata Marsh, it's a great way to carbo load for a birdwalking trip or unwind away from the sometimes bustling downtown Arcata watering holes.